I know it’s not even October yet, and you may be thinking “Nooooo! I’m not ready for holiday posts!”. I won’t tell you that there’s less than 100 days until Christmas. Nope. Not gonna share that info. But, for the next month I will be sharing my favorite Halloween party foods. 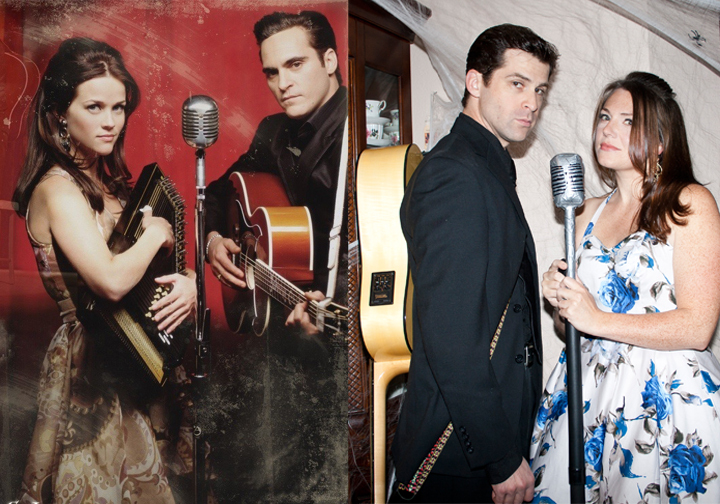 Halloween is on a Friday this year, so there’s sure to be ghoulish parties galore. I always plan parties way in advance and the menu is the first thing I get settled. All the party recipes I’ll be sharing have gross names – perfect for Halloween party food. However, take away the little disgusting name cards and you have terrific appetizers for your next non-Halloween party too! If you can’t wait a full month to get your food all settled, you can check out my great big Halloween post from a few years ago, but be aware that there are no easily printable recipe links there — just links back to the places I originally found the recipes. 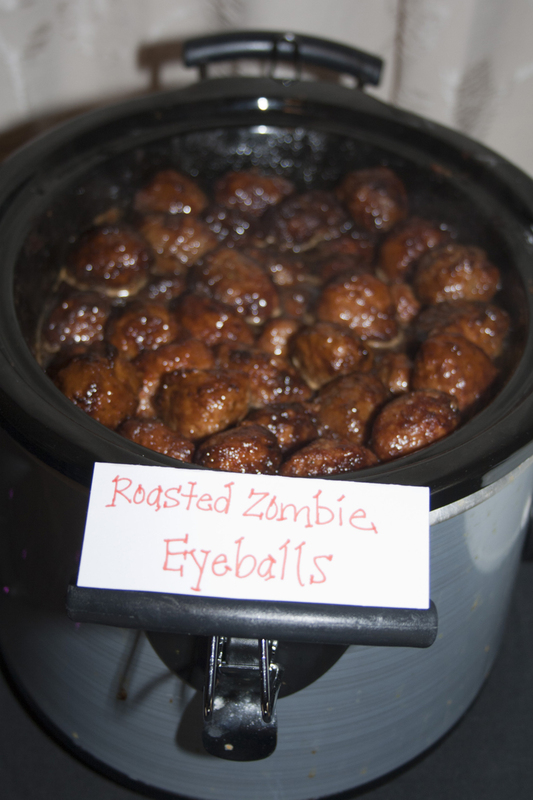 To start off our devily delicious party food, we have Roasted Zombie Eyeballs. You can make your own meatballs, or just buy some packaged/frozen ones. The secret is in the sauce. You’d never guess that grape jelly and chili sauce would combine into such a devilishly delightful combination! The spicy kick in your eyeballs depends greatly on what brand of chili sauce you use. Start with half the called for amount and adjust to taste. I keep mine warm in a crock-pot on the food table. Good food signs are absolutely essential when renaming for maximum grossness. 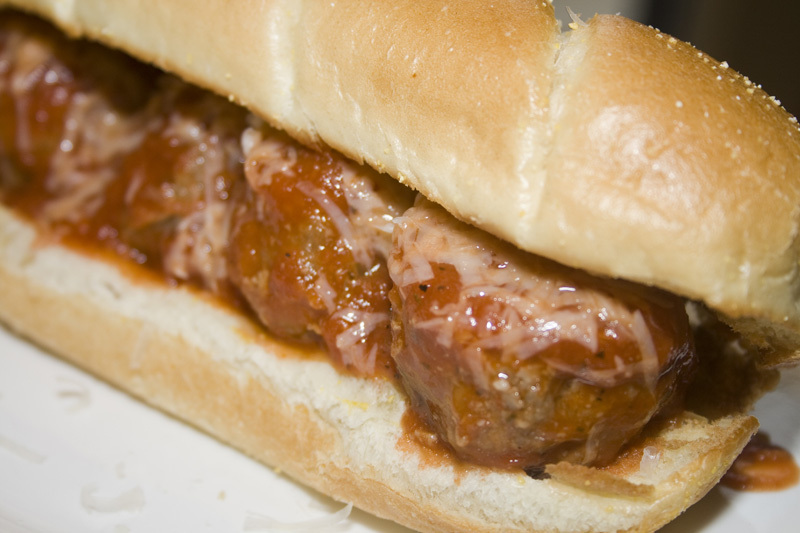 These meatballs (sans gross sign) make a great appetizer for football parties as well. 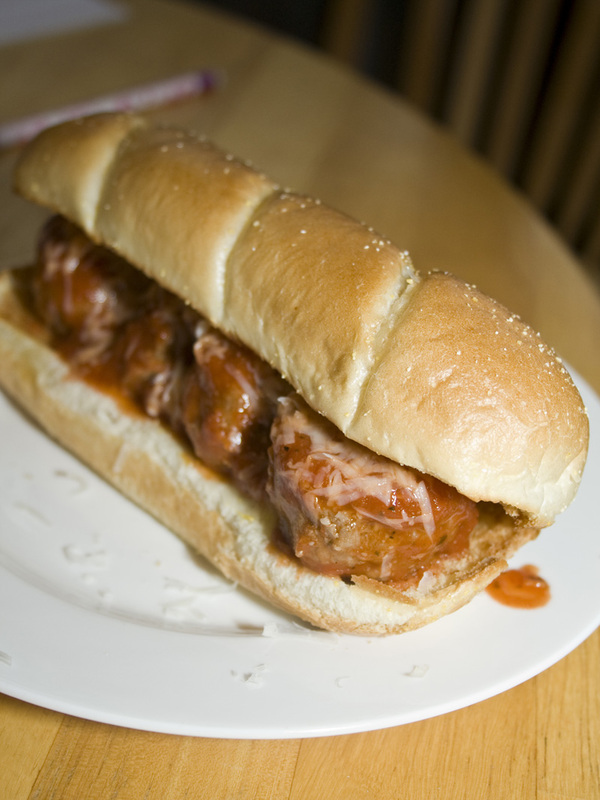 Everyone loves a spicy and sweet meatball! I’ve heard stories about the appetites of teenage boys for many years. All of my friends with older man-children talk about the heaps and piles of food they plow thru. I have to admit, I didn’t really believe all the tales. Then, I had my 14-year-old nephew stay with me last week. I’m a new convert of the “Holy cow, teenagers must have hollow legs or a second stomach…how can they eat so much?” crew. Nicholas (my nephew) is helping us out with some yard work. He started by powerwashing and scraping our fence. It’s about 300 feet long. This week, provided the weather clears up, he’ll be painting it. Tom Sawyer style. I know, aren’t I the best aunt ever? 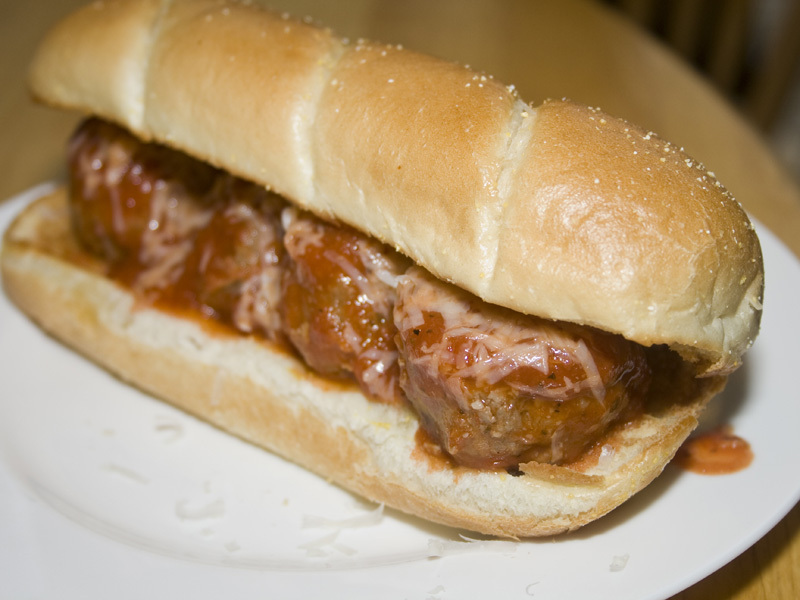 I’m not sure if it was the deliciousness of these subs, the fact that he’d been working outside all day or pride in knowing he helped me make them (bonding time = shaping meatballs together), but whatever the reason, the teenager hunger was on full display that night at dinner. It was amazing. Good thing I made up the full recipe of 2 pounds of meat. These are full of meaty goodness on toasted buttery buns. Drenched in sauce and covered with cheese, they may leave you wondering in embarrassment “Who ate that entire sub so fast?”. Hint, if there’s a teenager in your house, make sure you take the full number of subs you want right away. There might not be any leftover by the time you are done with your first…no matter how quickly you wolf it down. Preheat the oven to 400 degrees F. Grease a 9×13 inch baking dish and place it in the oven while preheating. In a medium bowl, mix together all meatball ingredients using your clean hands. Using melon baller/ice cream scoop if possible, form the meat into 1-2 inch meatballs. Place about 1 inch apart in the hot baking dish. Bake for 15 minutes in the preheated oven, then turn them over, and continue baking for about 5 more minutes, or until somewhat crispy on the outside. While meatballs are cooking, bring jar of spaghetti sauce to simmer in a large pot over low heat. When meatballs are done, add them to the warmed sauce and stir to coat. Spread sandwich buns with butter and sprinkle with garlic powder and seasoning salt. Turn oven on to broil and place buns on cookie sheet under the broiler. When golden brown, remove and top with meatballs, sauce and additional Parmesan cheese, onion or green peppers (if desired). This was one of my very favorite meals growing up. The aroma of wonderful vegetables and broth with cheesy tortellini always signified the beginning of cold nights and crisp fall days in my mom’s house. She always put kidney beans in this soup, but I don’t care for them at all – feel free to add them if you like. I chop all my veggies in the food processor – cut big chunks of celery and onion and throw them in the Cuisinart along with baby carrots. A couple quick pulses, into the pot and then dump all the cans in there too. Total prep time, about 3 minutes. Combine all and simmer 45 minutes to 1 hour. 10-15 minutes before serving, add 4-6 handfuls (to your tastes) of cheese tortellini. Allow sauce to cook tortellini thru. 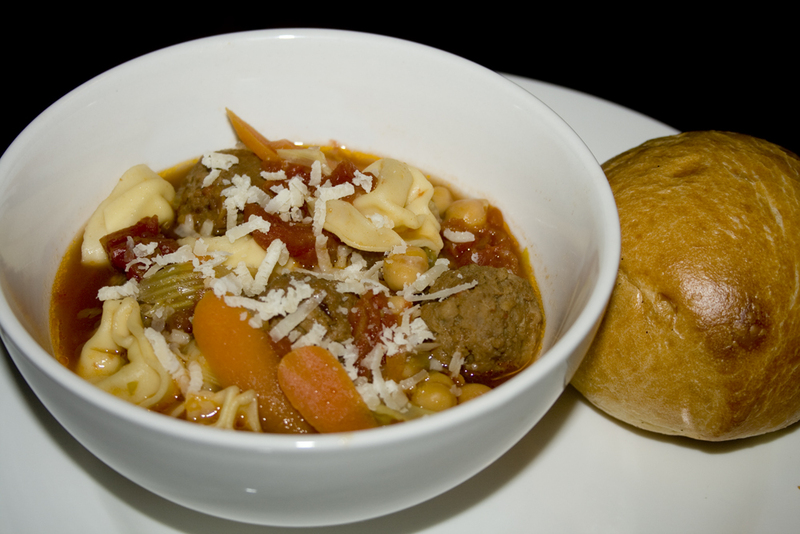 Serve with crusty bread and shredded parmesan cheese.